Firmly placed as "The Luxury Golf Travel & Lifestyle Publication" Great Golf Magazine is a must for all discerning golfers. Buy a single copy or subscription to Great Golf magazine. We are sorry, we currently have no subscription deals for this magazine to the chosen delivery country. You can change the delivery country using the drop down country list below. 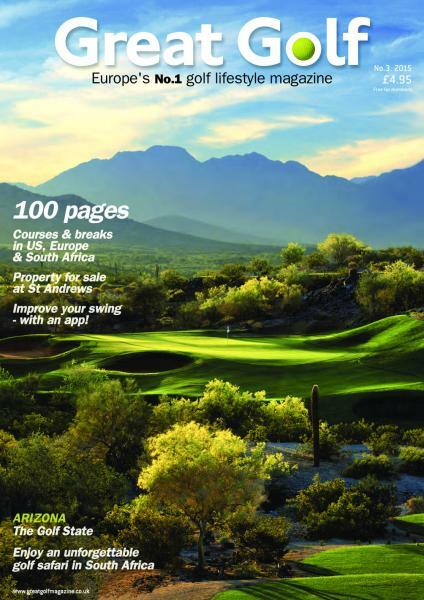 Full of in-depth features covering exotic golf locations, luxury products, golf property, fabulous wines and relaxing spa. Each issue will take you on a journey to places that either are on your wish list or soon will be. Read about the latest Bentley or Audemars Piguet watch, find out what makes Bubba Watson tick or check out what is setting the trend in golf fashion. Great Golf magazine is the top golf lifestyle guide and well ahead of the game compared to any other publication. While other golf publications endlessly fill their pages with instruction, Great Golf Magazine puts the joy back into the game.